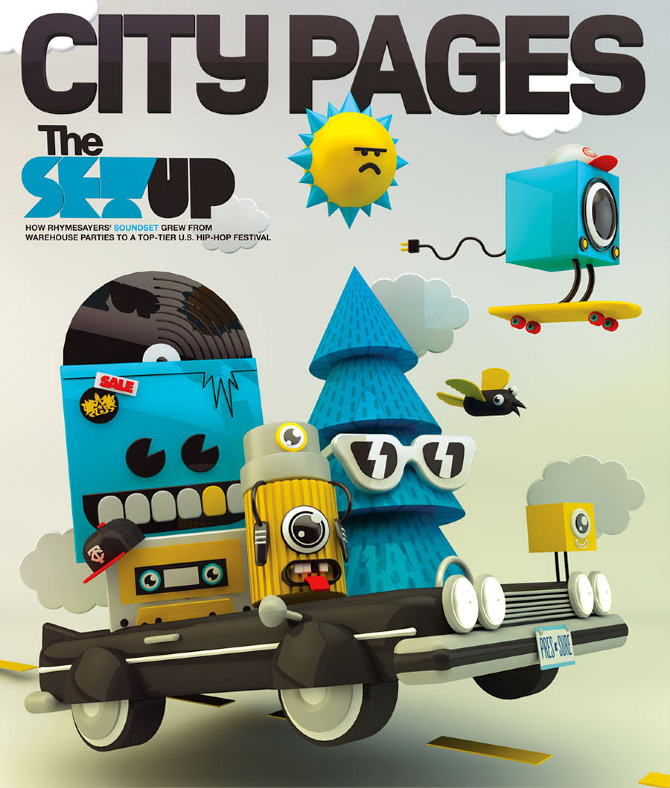 Cover illustration for the May 23rd issue of City Pages magazine. 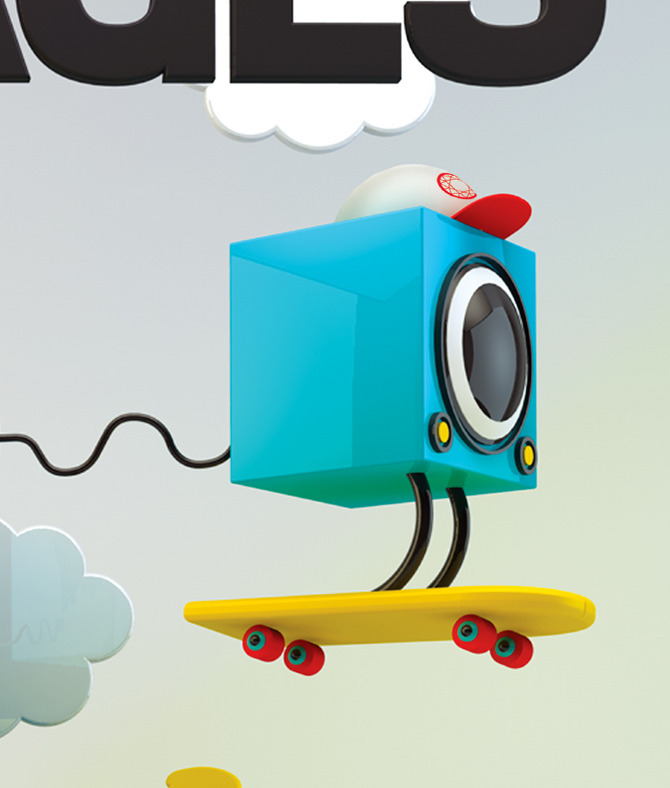 The idea that I pitched was to take the flat, playful characters that I had developed for the Minneapolis-based Soundset hiphop festival and dimensionalize them in a new way for the cover feature. The idea was to show the characters travelling on their way to the event in a '61 Chevy Impala. Bangarang. Art directed by Mike Kooiman. Story by Reed Fischer. Click here to check out some process insight via City Pages.